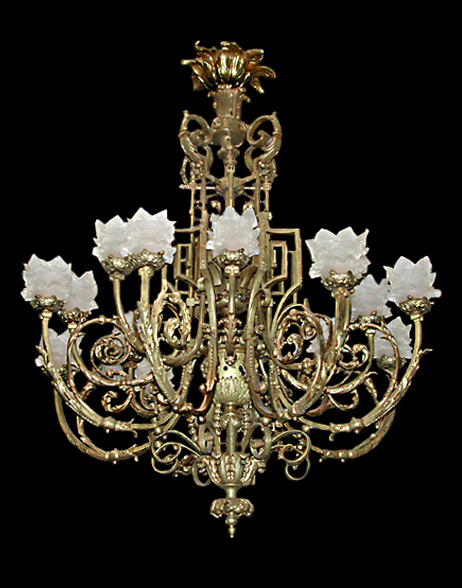 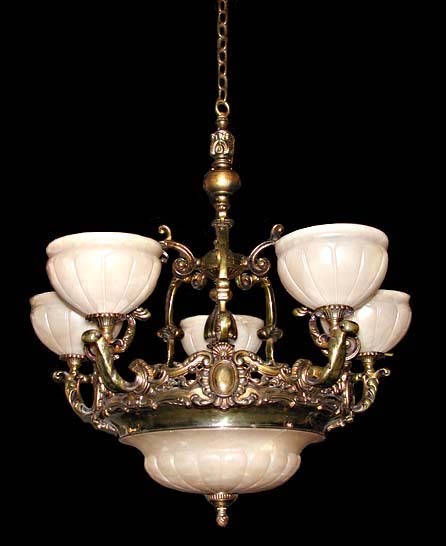 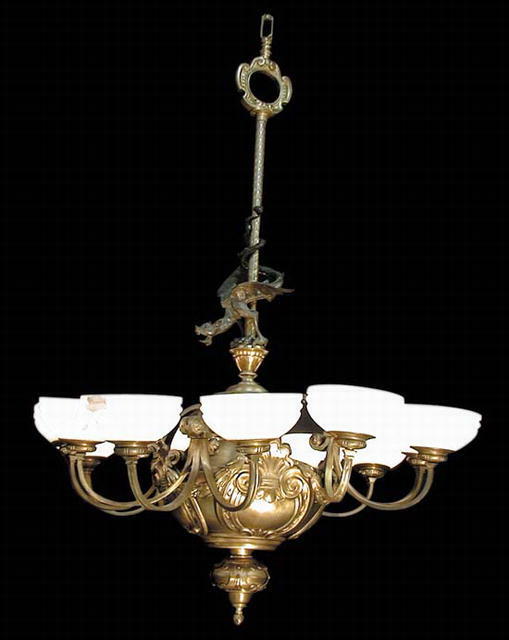 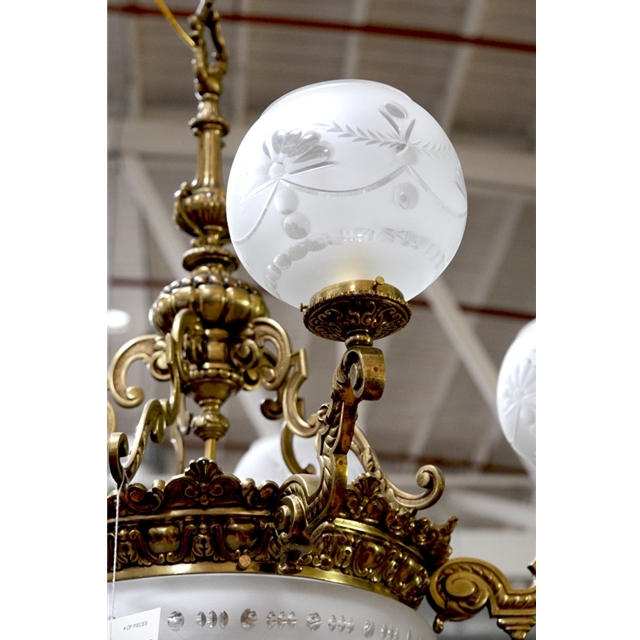 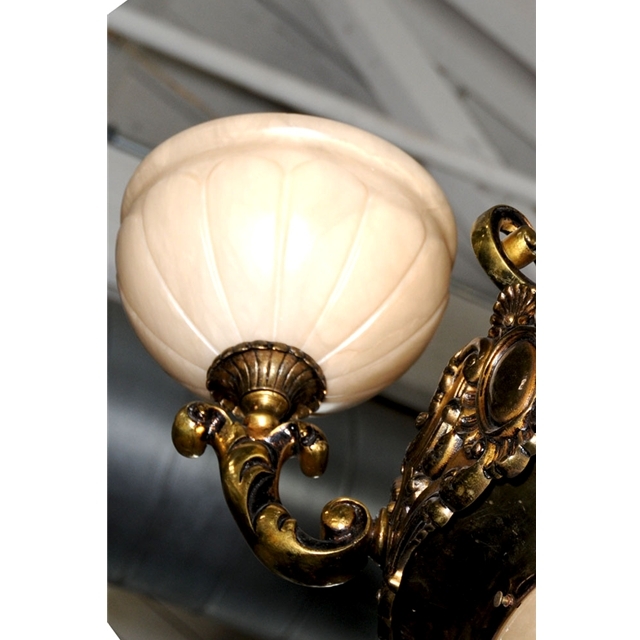 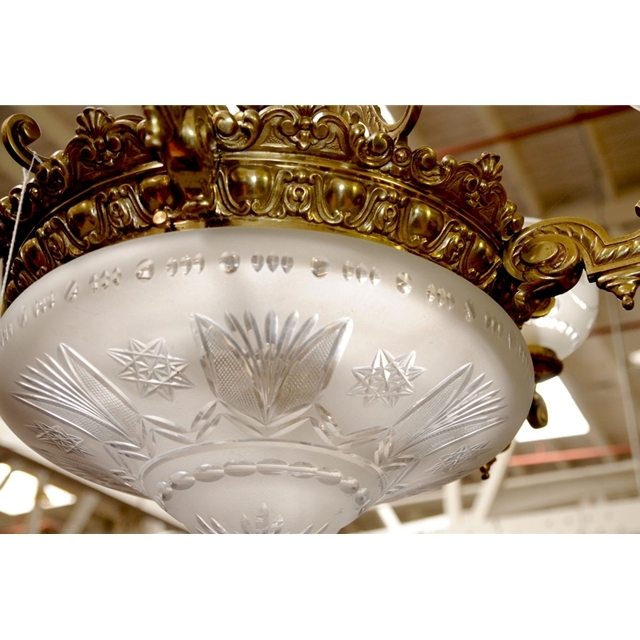 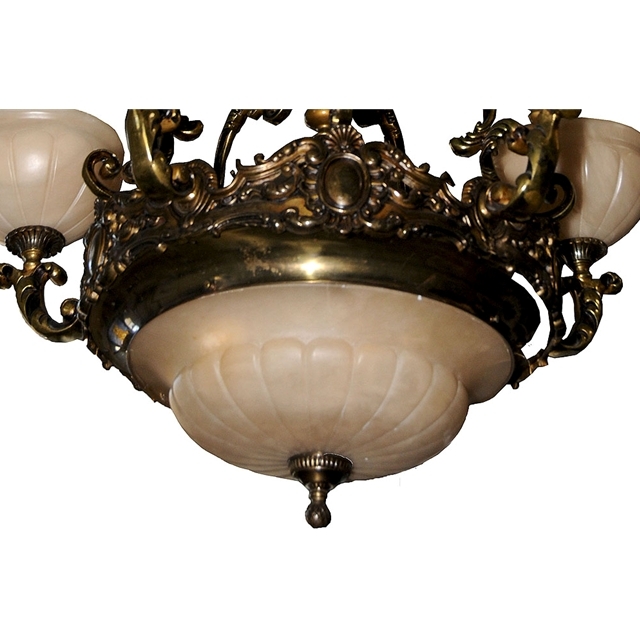 Country of Origin:AMERICAN Style:GAS LITE Condition:Mint Year:1880Nine lite bronze & alabaster chandelier w/winged griffin on pole. 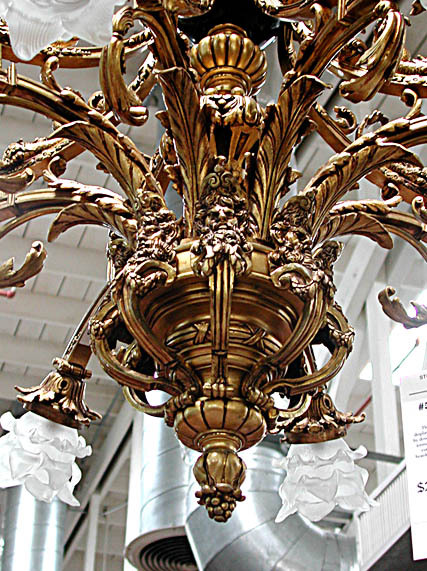 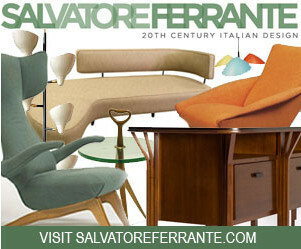 Nice big piece for the money. 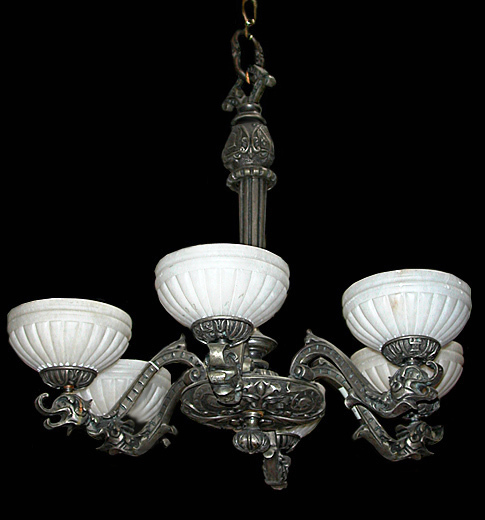 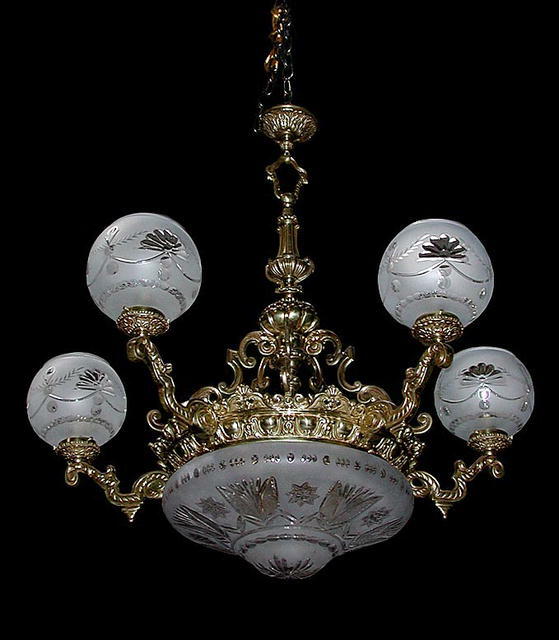 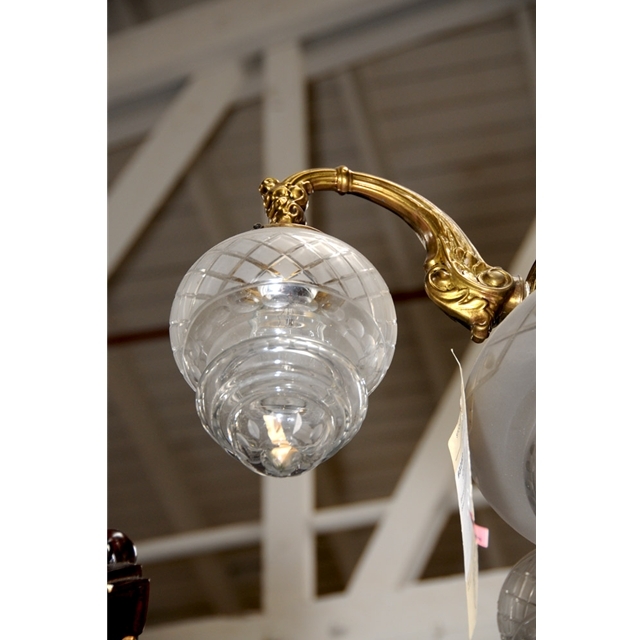 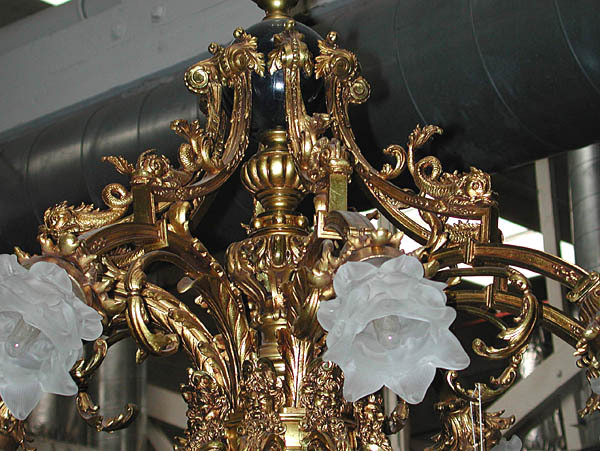 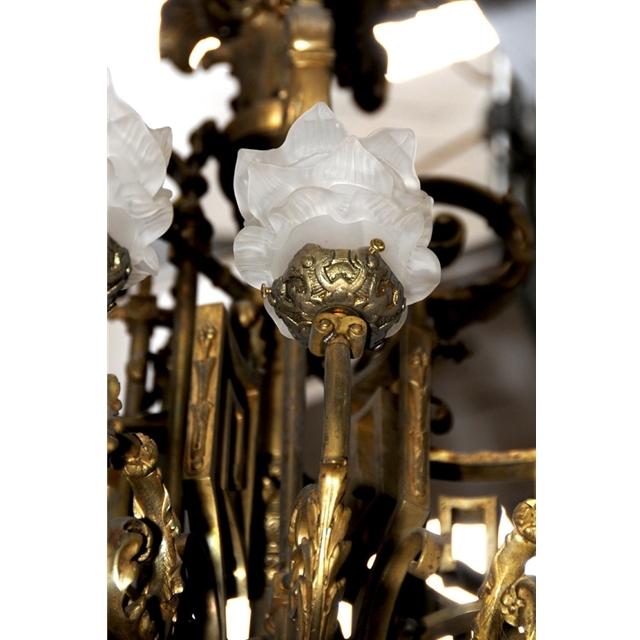 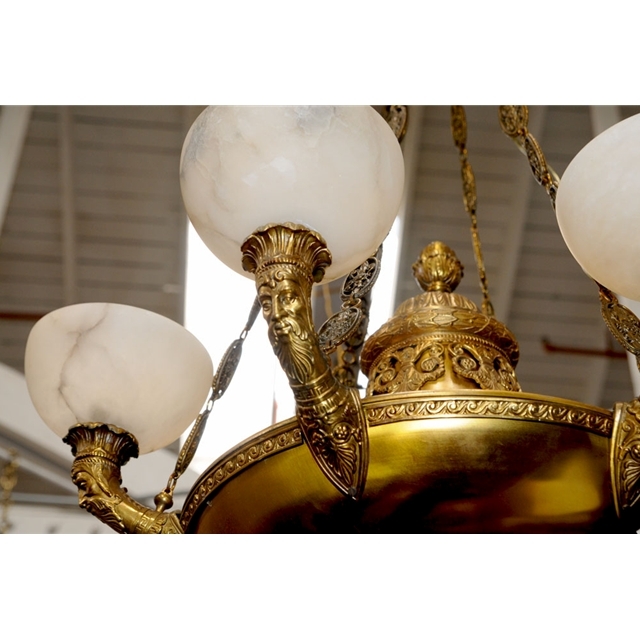 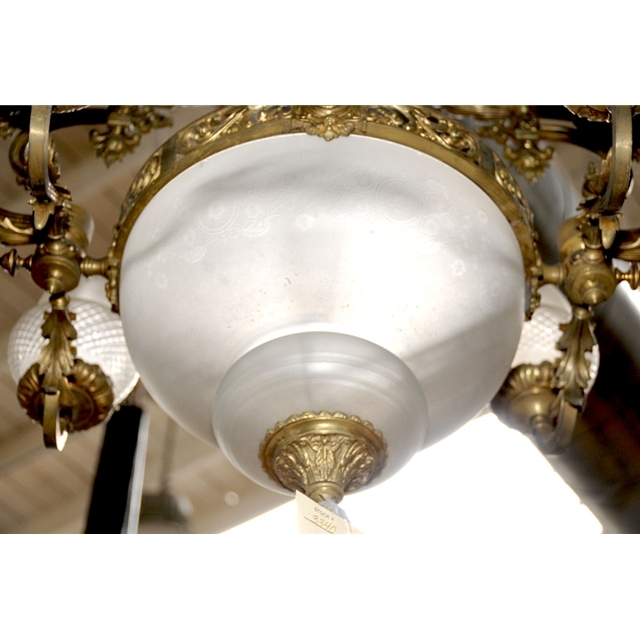 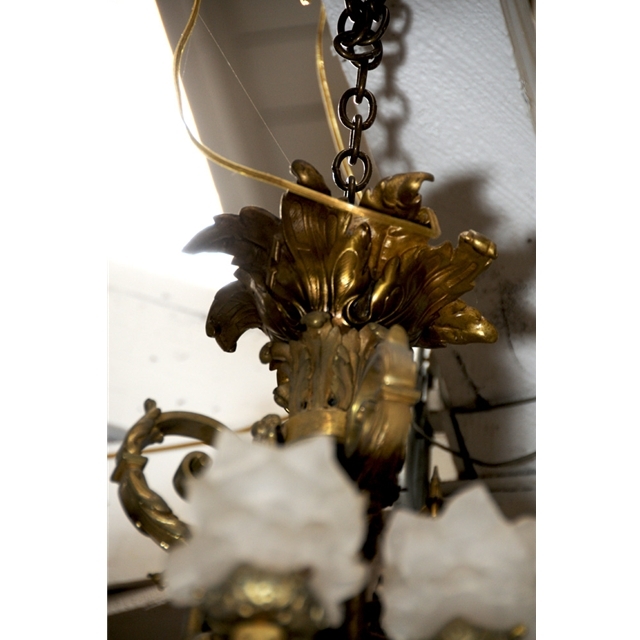 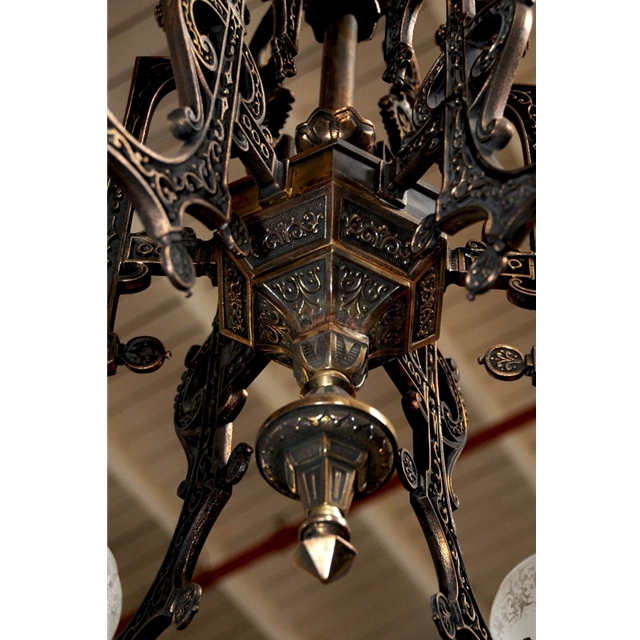 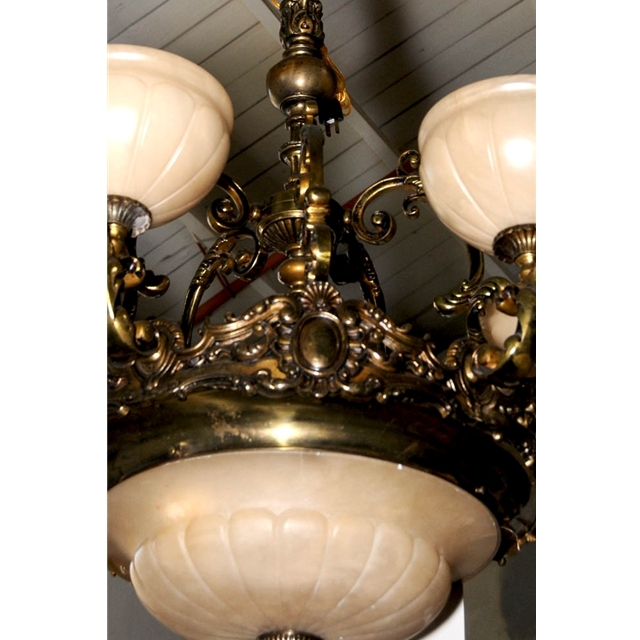 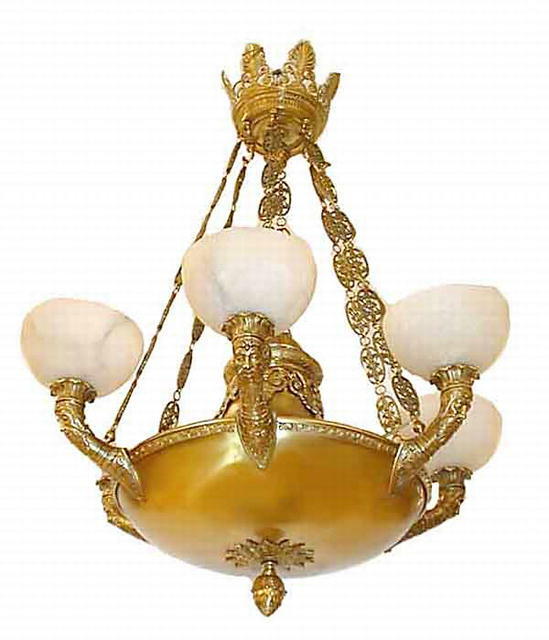 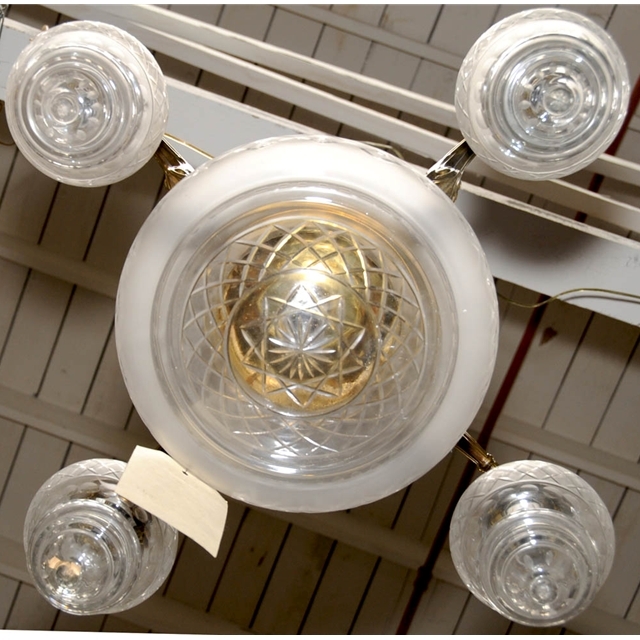 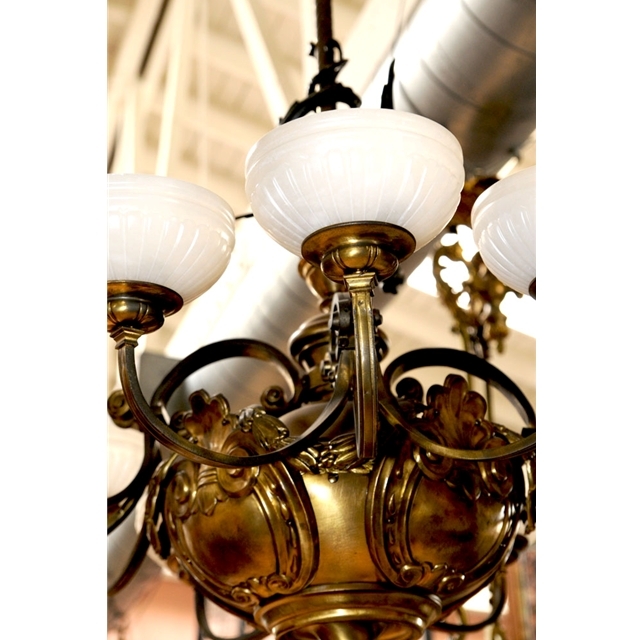 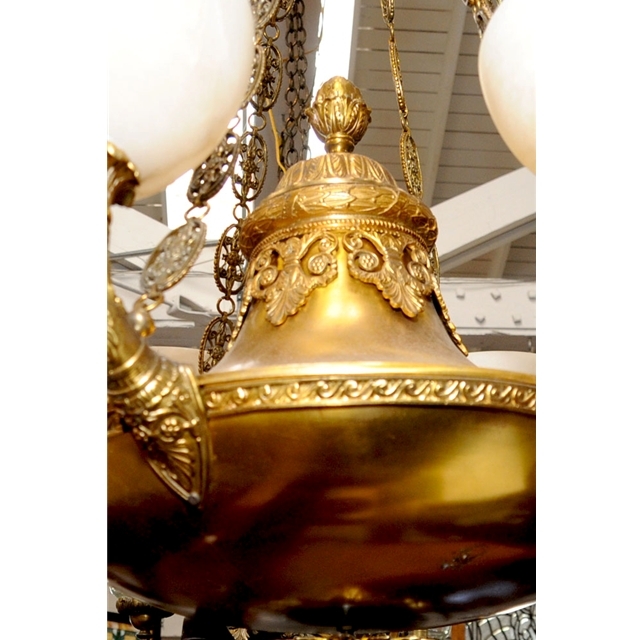 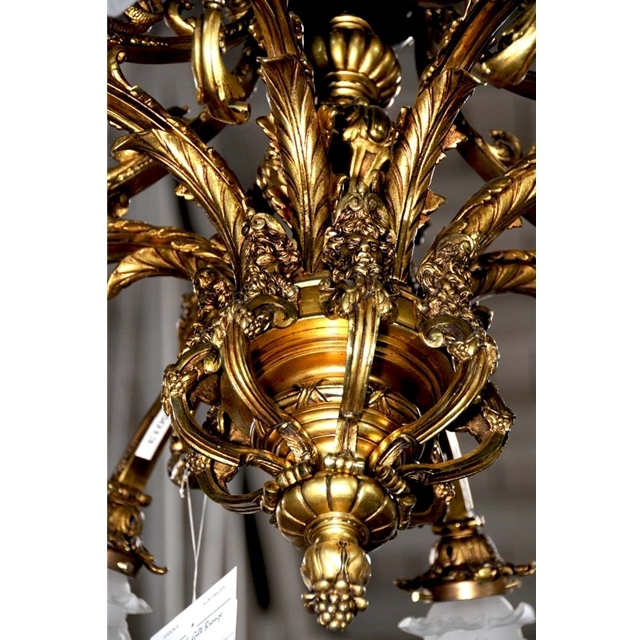 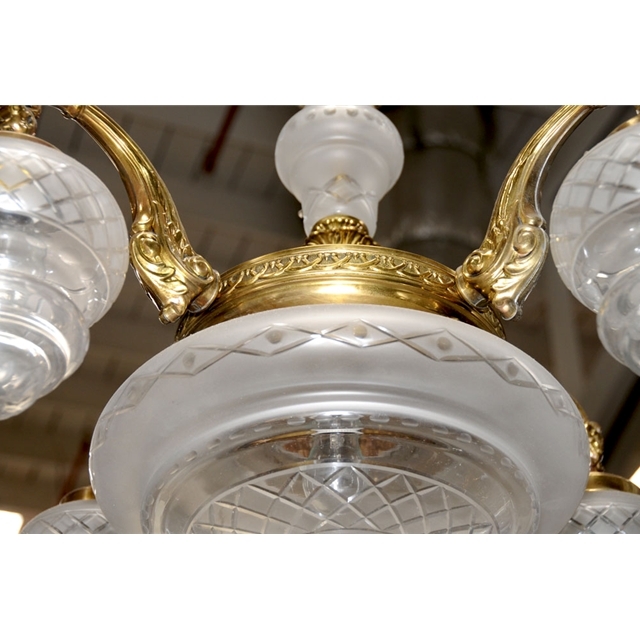 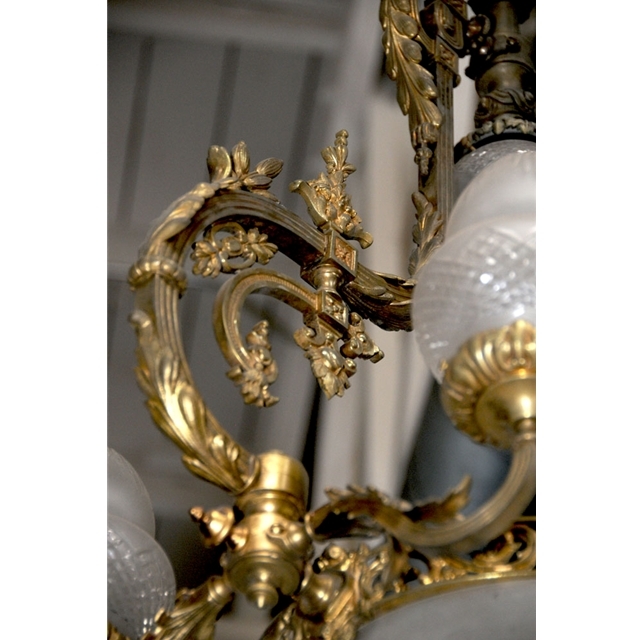 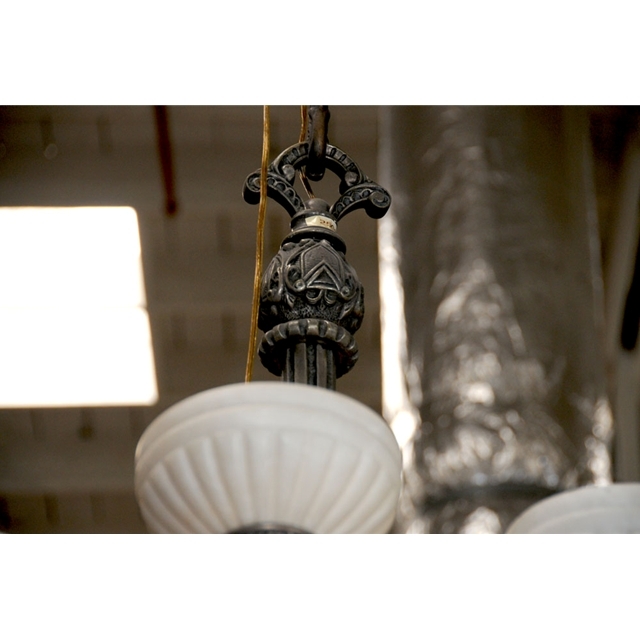 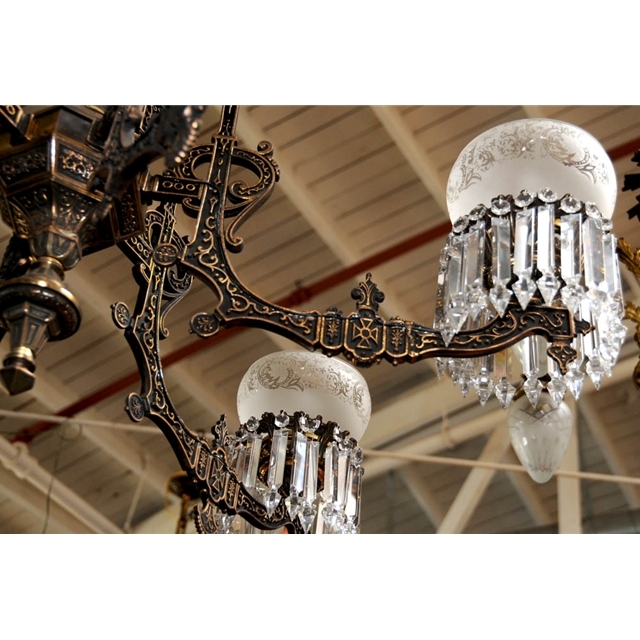 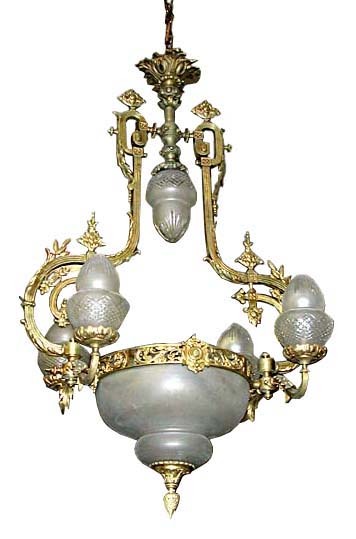 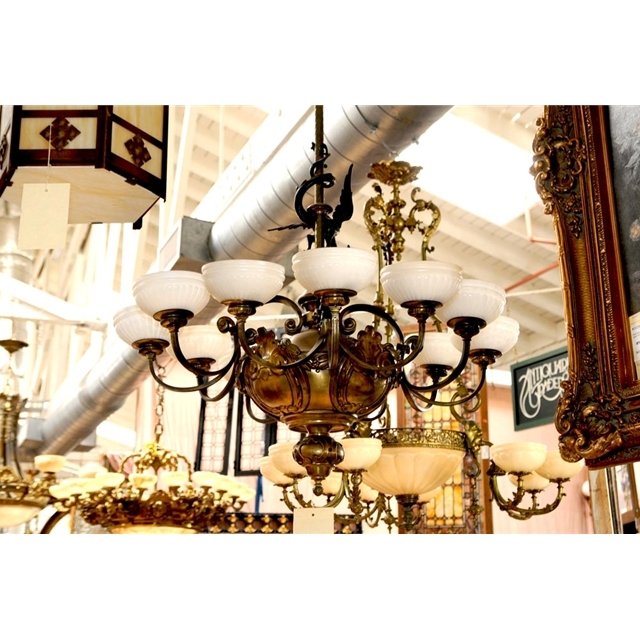 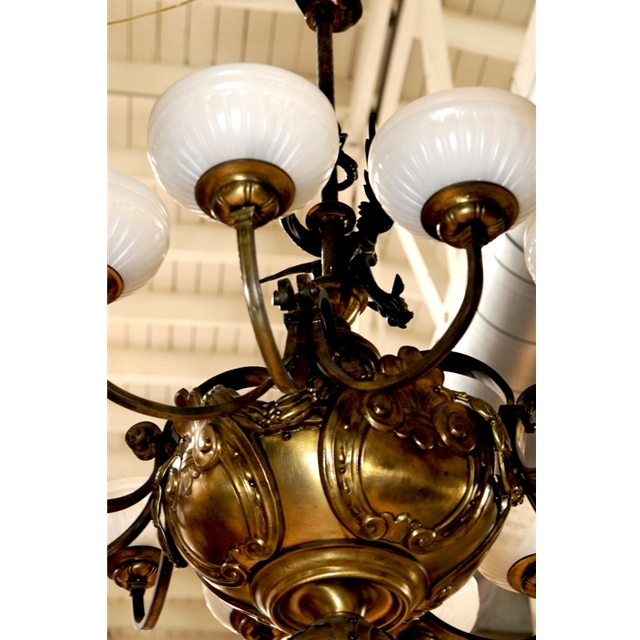 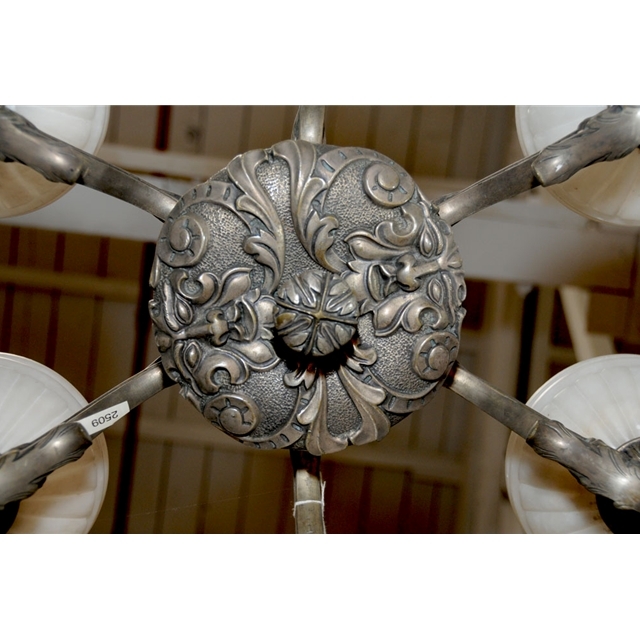 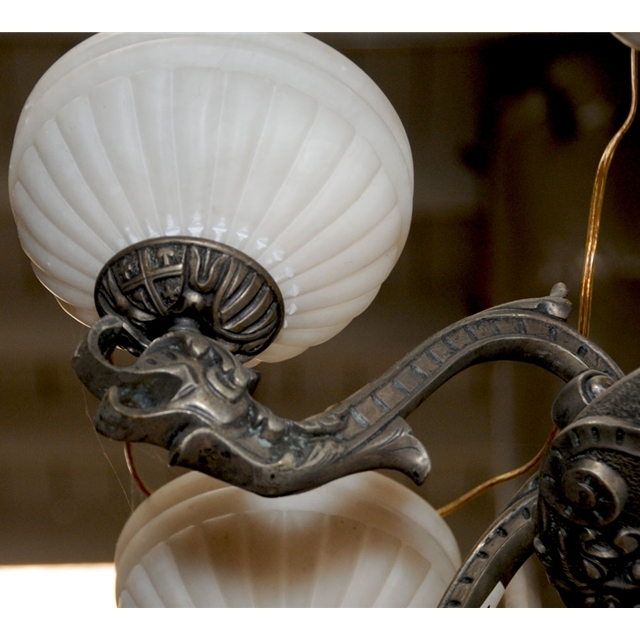 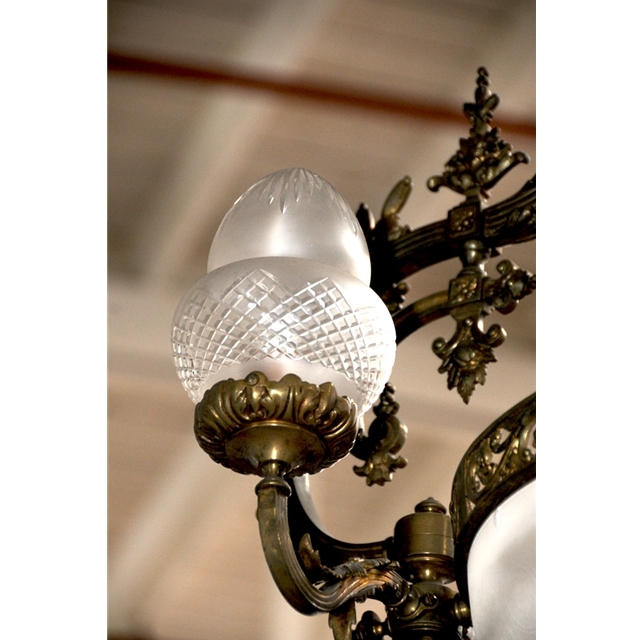 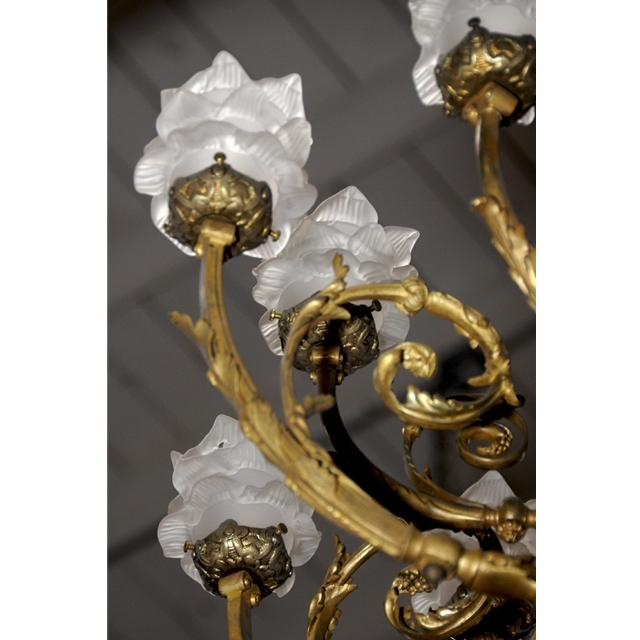 Country of Origin:France Style:Victorian Condition:Mint Year:19th C.Beautiful 19th C. French Bronze chandelier with original glass shades. 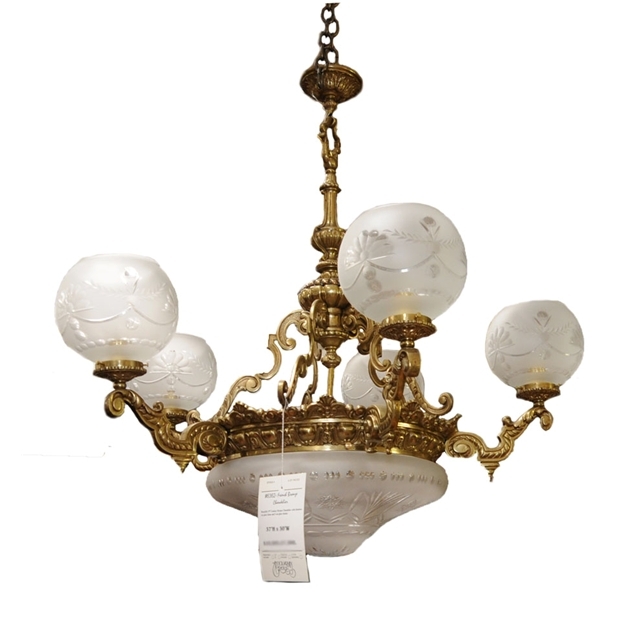 Country of Origin:France Condition:Mint Year:19th C.Beautiful 19th C. Bronze Chandelier with fabulous cut glass dome and cut glass shades. 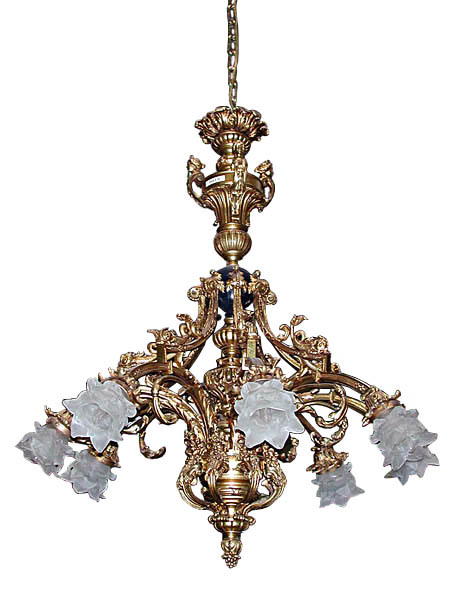 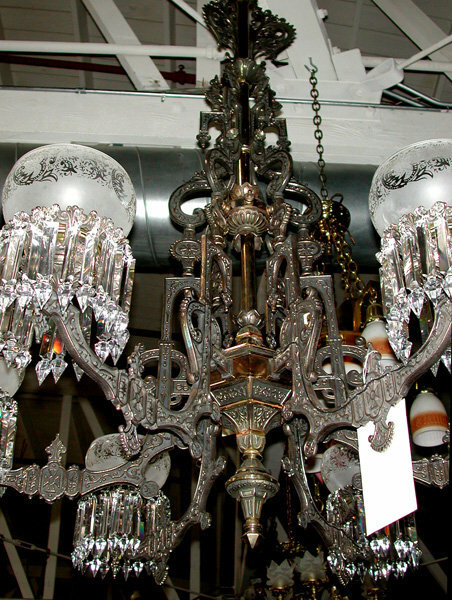 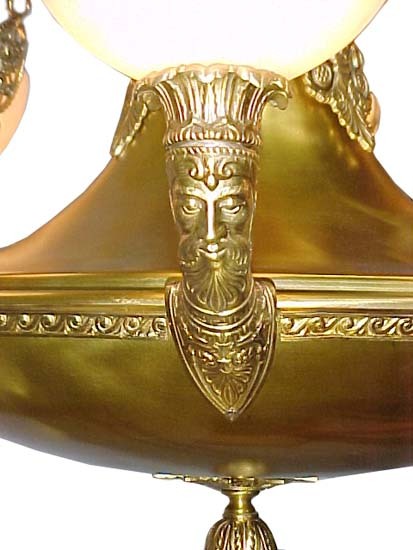 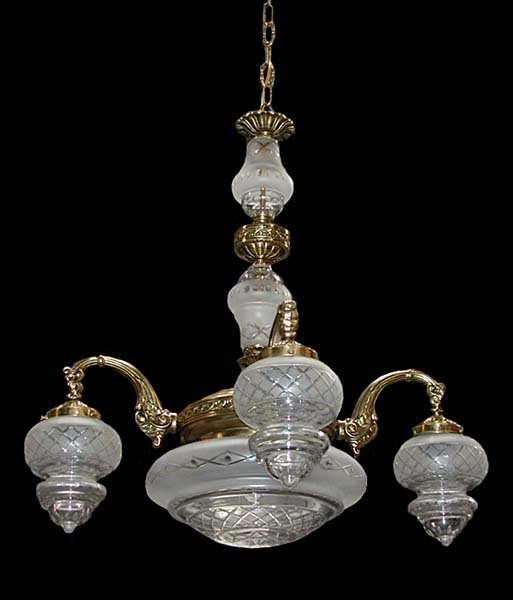 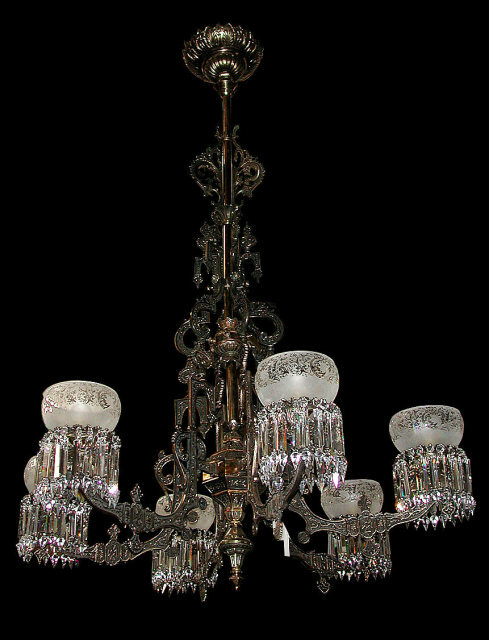 Country of Origin:USA Condition:Mint Year:1890Beautiful 19th C. Bronze chandelier with cut crystal shades and center bowl.